SYRIANS BRINGING FLESH EATING DISEASE INTO AMERICA…..? – The Tundra Tabloids……. SYRIANS BRINGING FLESH EATING DISEASE INTO AMERICA…..? Something that Democrat supporters of Obama can relate to. EXCLUSIVE – Syrian Refugees Bringing Flesh-Eating Disease into U.S.? JERUSALEM – There is a risk that Middle Eastern refugees entering the U.​S​.​ could be infected with a flesh-eating disease that is sweeping across Syria. Health agencies confirmed that Syrian refugees have transported leishmaniasis to Lebanon and Turkey, where it has been difficult to manage and treat. Compounding the problem, ​patients can be infected with ​the parasitic disease ​without showing symptoms for weeks, months, or even years, ​and ​an asymptomatic patient most likely doesn’t know that he or she is a carrier. 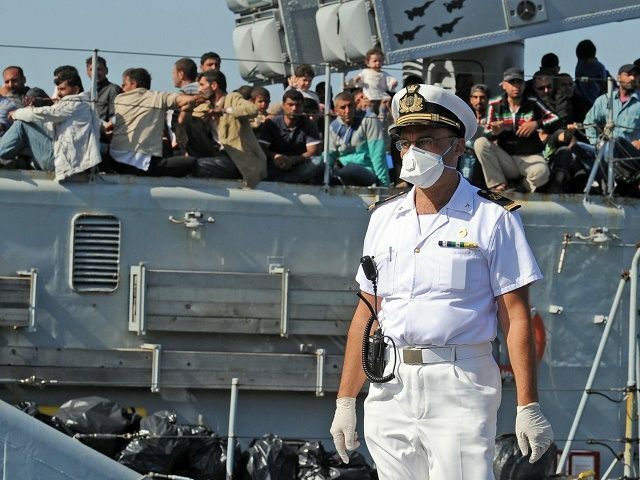 ​​This means the health screening process for refugees could miss the disease entirely​. Breitbart Jerusalem spoke with healthcare experts, including an epidemiologist from the Centers for Disease Control and Prevention, or CDC’s Immigrant, Refugee, and Migrant Health Branch, which is responsible for guiding the medical screening of the Syrian refugees seeking to enter the U.S. Previous Post Previous Post DONALD TRUMP ON HILLARY: COULD YOU IMAGINE ‘THAT’ AS PRESIDENT……? Next Post Next Post NETHERLANDS: SOCIAL AFFAIRS MINISTER WANTS ACTION AGAINST SALAFIST MOSQUE, CHILDREN RADICALIZE AFTER STUDYING THERE…….